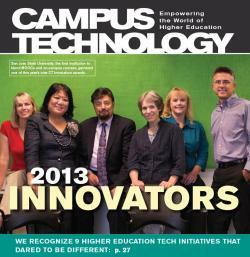 We recognize 9 higher education tech initiatives that dared to be different. Learn to evaluate desktop virtualization opportunities, set up pilots, and ultimately establish a reliable production environment. Before you sign on the dotted line, make sure you have sorted out these legal considerations. NAC can help universities find the sweet spot where everyone is both happy and safe. Can Windows 8 Play With the Big Boys? While its app market lags, Windows 8 boasts better productivity tools and easy integration with enterprise systems. Reading on an Android tablet? An app is in currently in development for iPhone and Android tablets/phones. Returning Users: Enter your email / password to log in. New users: enter your email and a password. You will need to fill in a short registration form, after which the item will be accessible to you.